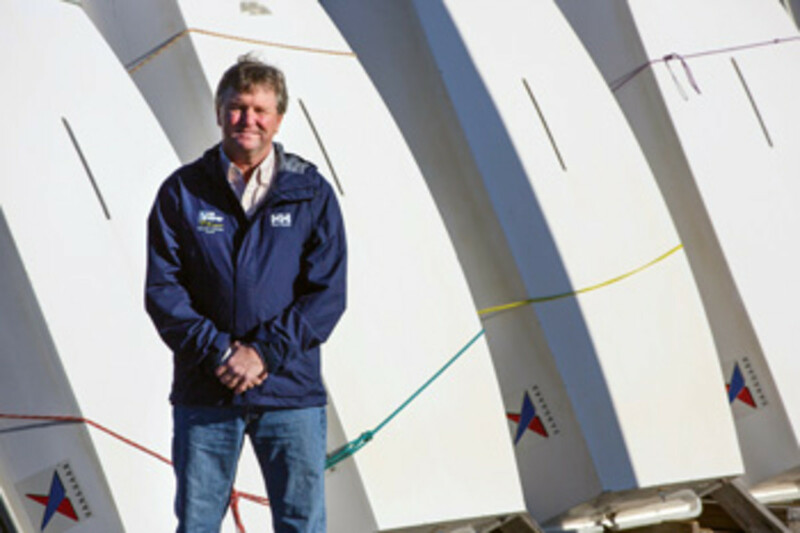 Brad Read, the executive director of Sail Newport, started sailing as a kid and went on to win championships in several One designs, as well as three J/24 Worlds. A college All-American, he was also the 1986 College Sailor of the Year. So it’s no wonder Read understands the role that sailing can play in a youth’s life. 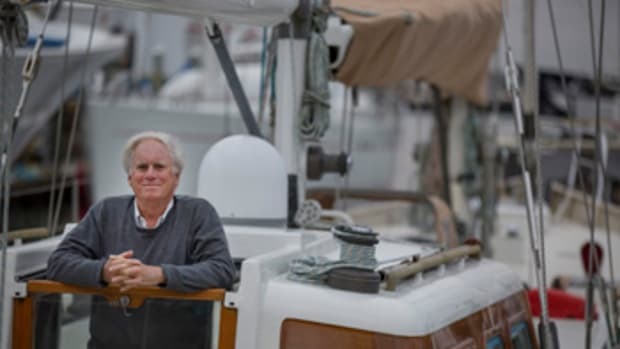 He has dedicated his career to it at Sail Newport, where he developed a nationally recognized sail education program and a world-class regatta management organization. 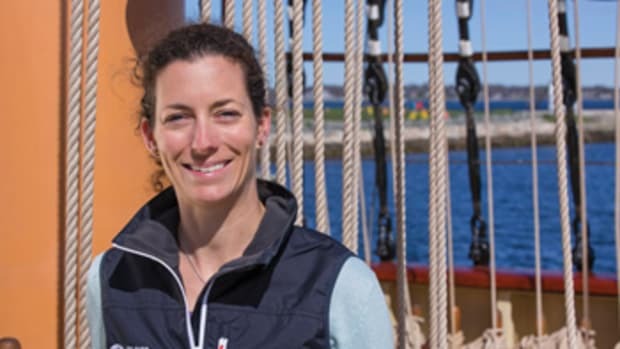 Read lead the team that won the city and state bid to bring the Volvo Ocean Race to Newport, Rhode Island, the global race’s only North American stop in 2015. Thanks to the event’s resounding success, the VOR will return to Newport during the 2017-18 race. Sail Newport was recently the recipient of a $500,000 grant from the van Beuren Charitable Foundation, which will support a new education and recreation facility in Fort Adams State Park. 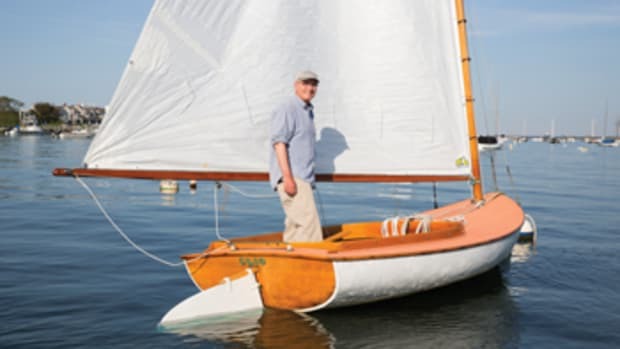 Read continues to race and cruise the family J/40 Nepenthe in New England. First memory of being on a boat: Mom, Dad, my brother Kenny and I (I think I was about 3) rowing out in an old leaky skiff to our Pearson Wanderer 30 Nepenthe at a mooring in the Kickemuit River in Touisset, Rhode Island. We would take off on Friday afternoon for Cuttyhunk Island, towing a dinghy and a Sunfish. First boat: A Sunfish. I sailed Sunfish Doubles (Sunny Dubs) as a 6- to 8-year-old with Sarah Puleston and John Healey from Barrington, Rhode Island. 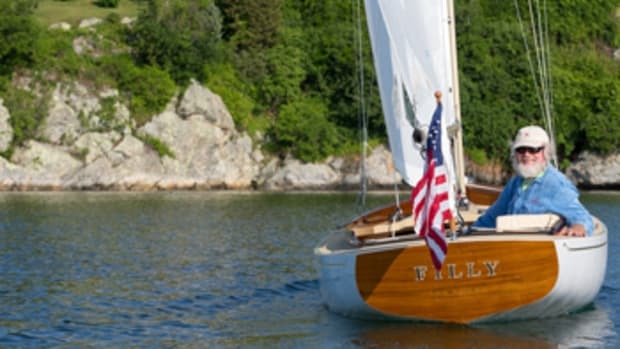 Last or current boat: The newest Nepenthe — the family J/40, which we cruise around southeast New England. Favorite boat you’ve skippered: Tough one. Has to be the J/24 Blind Squirrel with so many great friends. We had some amazing success in that class. 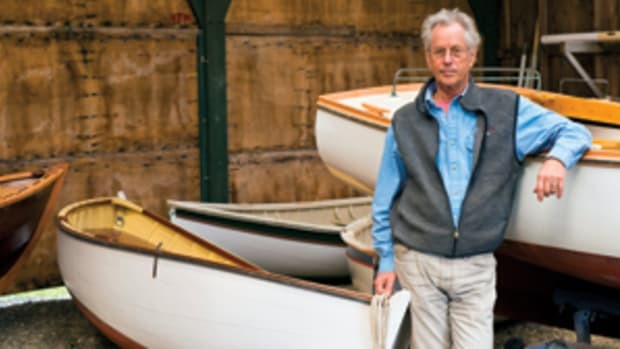 Your dream boat: I’ve had a chance to sail so many boats over the years, but by far the most incredible boat to have sailed or been a part of has been Rod and Olin Stephens’ Dorade. Matt Brooks and Pam Rorke-Levy have continued the stewardship of this historic vessel. I have been privleged to sail on Dorade with both Edgar Cato (after he brought the boat back to the United States from Italy in 2005) and then with Matt and Pam in recent years. The most stunning moments on Dorade were sailing in Maine after the first refit (where Dorade was brought back to its original state, with no engine) and sailing on and off moorings in Brooklin, Camden and Castine… I also had the privilege to sail on her with Olin Stephens. That was one of my favorite moments of all time. Most rewarding professional experience: This is a hard one as well, so I am going to give you three. 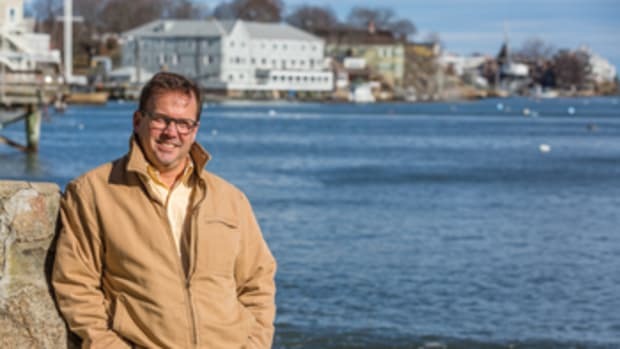 1) Leading a wonderful team at Sail Newport, which does so much for our community: breaking down socioeconomic barriers to provide broader access to our harbor, running award-winning sailing programs, managing the local, regional and international events that we bring to Newport. When a middle school student from Newport who has never been on a boat goes out on a J/22 and looks back at his or her town from the water to say, “Wow, that is what our town looks like?”— it’s a very rewarding experience. 2) Watching 27,000 people line the shore of Fort Adams State Park to watch the In Port Race during the 2015 stopover of the Volvo Ocean Race was a definite highlight. 3) Being told by the sailors and Volvo Ocean Race stakeholders that the Newport stopover is used as the model/baseline for a successful stopover. That success is due to our community completely buying into the event and bringing enthusiasm and support on so many levels. … It’s overwhelming to me and to all of us who worked for four years leading up to the stopover — 131,000 in attendance and $47.7 million of economic impact for the state! Scariest adventure aboard: A Narragansett Bay weekend race. I was maybe 11 years old. Pea Soup fog, sailing downwind with the spinnaker up in 20-plus. Dad was on deck with two of the regular race crew, and Kenny and I were “asked” to go below because it was getting a little hairy. Dad was sure of where we were in relationship to the Usher Rocks entering Bristol Harbor, but there was a fair bit of “discussion,” and as usual Dad was right, and we missed the rocks by inches. We were terrified down below. Most memorable experience aboard: My brother Kenny asked me to help his new Volvo team sail Puma’s il Mostro back from the Med to Newport. Sailing trans-Atlantic with some of the best ocean racers on the planet was a great experience — though the definition of “buyers remorse” is watching Africa disappear over the horizon as the navigator is briefing the team that it will be 12 days upwind to get to Newport. Yikes! Longest time you’ve spent aboard: Twelve days trans-Atlantic on a Volvo 70, upwind 80 percent of the way. Favorite destination so far: So many amazing places, but the one that stands out is 24 miles away from where I sit: Hadley Harbor, Naushon Island, Massachusetts. Hadley’s is the most perfect natural harbor the glaciers ever created. Favorite nautical book:Fastnet, Force 10 by John Rousmaniere. The Strange Last Voyage of Donald Crowhurst by Nicholas Tomalin and Ron Hall. Sudden Sea by R.A. Scotti. Favorite nautical cause you support and why: Sail Newport, of course. Sail Newport (sailnewport.org) provides on-the-water education and experiences for all members of the community. 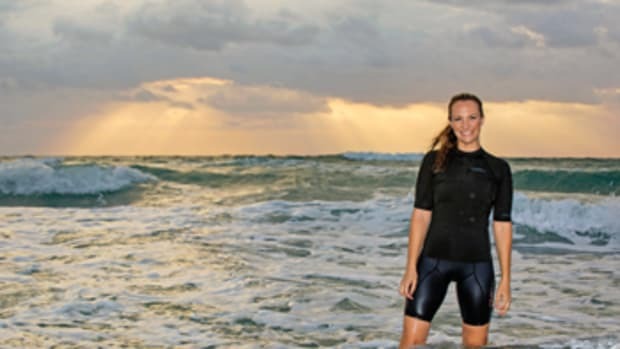 Real socioeconomic and physical barriers exist for people on our island to experience the life-changing opportunities offered by being on the water. We offer world-class sailing education, public access to the sport of sailing, and host local, national and international regattas and major marine events. Our Campaign for Blue Space has allowed us to break ground on a new building to support our growing, year-round programs. We are integrating sailing into the standard curriculum of the Newport Public School system. Every fourth-grader in the Pell School will have sailing lessons added to their curriculum in 2017. 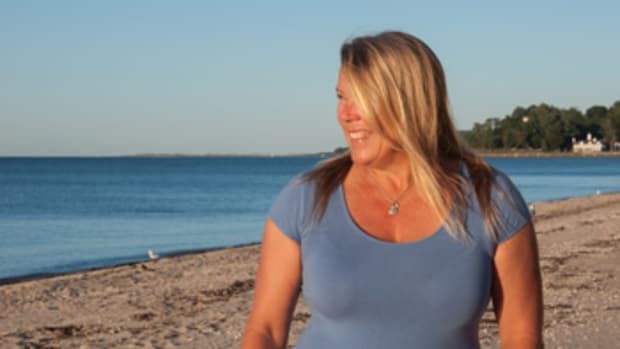 This is real change in perception and access to the wonderful “blue space” of Newport Harbor and Narragansett Bay.